We can barely believe that Halloween 2017 is tomorrow! There is a crisp in the air, the tomato plants have slowed, and our fields are covered in beautiful, bright pops of orange and yellow thanks to all of the squash. We always have a great time in October inviting local schools out to our pumpkin field so that they can harvest their very own pumpkin. We think the experience is more than just a seasonal tradition. For many kids, harvesting a pumpkin might be the only time they get to see a vegetable growing, let alone harvest one. Every kid deserves that experience, regardless of financial means, so we make it a point to donate to schools where kids and their families would likely not otherwise be able to purchase pumpkins for Halloween. To see such joy on a child's face come from a common vegetable like a pumpkin is something extremely special. Any ties we can create like this to enrich a child's understanding of how food grows and where it comes from we believe helps to build a healthier future for that child. While yes, pumpkins in this case are associated with candy and costumes, and most Halloween pumpkins are not eaten, we still find it to be a unique chance to expose kids to farming in general. So for all of these reasons (plus kids picking out pumpkins is just really, really cute) we happily plant our patch each year to allow this tradition at our farm to continue. Over the past few weeks we have had the privilege of hosting groups from schools in Esparto, Woodland, Davis, Sacramento and Bayshore. The students at these schools range in ages from K-6th grade. While we did have a few groups of kids come out to do the harvesting, we had several groups of parents come out to harvest for their students. 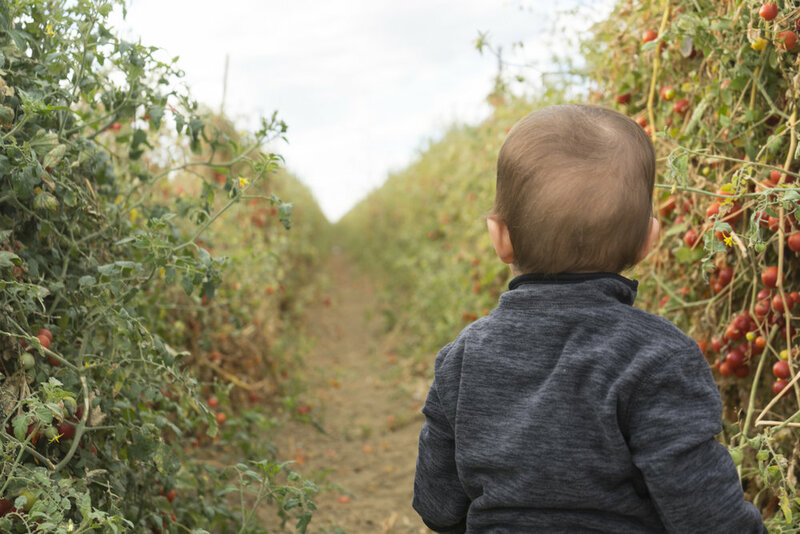 The kids who visited the farm enjoyed running through the pumpkins, looking at the bugs crawling on the ground and around the plants, picking and eating cherry tomatoes fresh off the vine, and going on a tractor ride with Farmer Jim around the fields. Those kids were lucky--they got to eat some of the very last cherry tomatoes of the season! Last week was our very last harvest of the year. Thank you to everyone who purchased and enjoyed our tomatoes this season. We heard great things from you all about flavor and our new recyclable packaging. It is very encouraging to hear that our move towards using more eco-conscious packaging is being noticed and appreciated. Until next tomato season, keep an eye out for Durst winter squash this fall and winter, and asparagus starting in the spring. 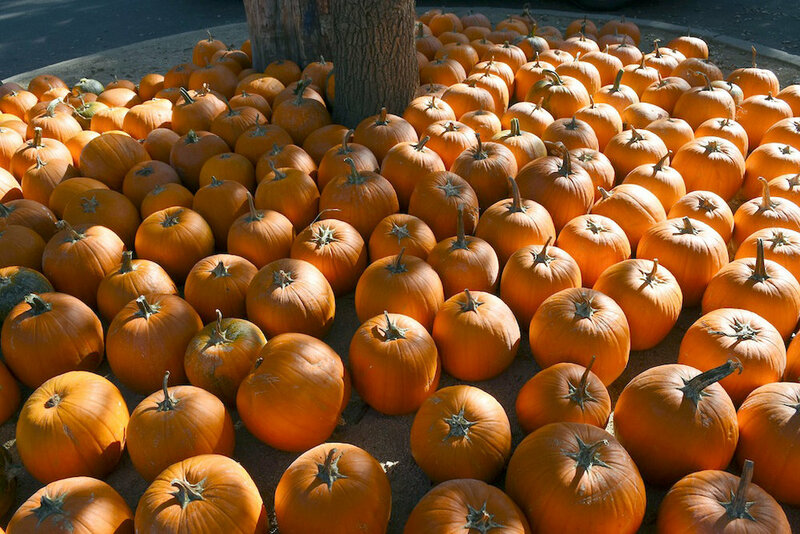 We wish everyone a safe, fun Halloween filled with jack-o-lanterns and lots of pumpkin pie!